Hurriyet Daily News reports that after the rollout ceremony, the planes will be moved from Lockheed Martin HQ in Ft. Worth, Texas, to Luke Air Force Base in Arizona, where Turkish pilots and technicians will be trained in operating and maintaining the complex aircraft. June 21’s ceremony will mark an historic milestone in this regard for the delivery of the first batch of F-35s to Turkey. In contradiction to the significance of the ceremony, Turkey will be represented only by the deputy undersecretary for the Undersecretariat for Defense Industries, Serdar Demirel, and General Reha Ufuk Er from the General Staff’s general plans and policies division, in a rather low-profile fashion. It hasn’t yet been announced who will be representing the U.S. government and the U.S. military on June 21. A reception will be held on the occasion of the ceremony at Lockheed Martin’s facilities. The ceremony will occur just two days after the Senate passed a $716 billion defense policy bill including an amendment prohibiting the sales of the F-35s to Turkey. The Republican-controlled Senate voted 85-10 for the annual National Defense Authorization Act, or NDAA, which stipulates that U.S. President Donald Trump should certify that Turkey does not threaten NATO, purchase defense equipment from Russia or detain U.S. citizens. Some U.S. and NATO military experts have long been voicing concerns over Turkey’s decision to deploy Russia’s sophisticated S-400 anti-ballistic missile systems on the grounds that they could pose a threat to F-35s and other NATO weapon systems on Turkey’s soils. They are worried about the possibility that Russia can copy a number of confidential software codes, especially radar engagement frequencies found in the F-35s if the S-400 system operates within the same defense structure. The second important drive behind the congressional move against Turkey is the continued detention of U.S. national Pastor Andrew Brunson over terror charges. As CNN points out, many American officials are concerned that giving the most advanced U.S. warplane to the same country that is busy purchasing Russian missiles designed to shoot down advanced warplanes might be a bad idea. Imagine the sight of an F-35 parked at a Turkish airbase right next to an S-400 battery and a pack of Russian technicians strolling over to have a look at the nifty new American plane. Secretary of Defense Jim Mattis, however, has been trying to convince Congress not to block delivery of the planes. The Turkish government angrily insists that it has fulfilled all of its obligations under the F-35 program, including its financial commitments, and its purchase of S-400s from Russia should not disqualify it from receiving the planes it paid for. 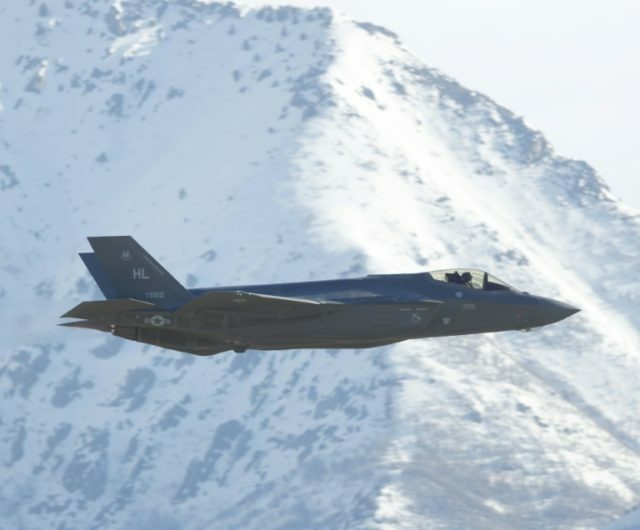 Other countries participating in the development of the F-35, including Israel, Japan, South Korea, Australia, and the United Kingdom, have started taking delivery of their planes. Defense World states that the actual delivery date for the planes remains “uncertain,” while Turkish Foreign Minister Mevlut Cavusoglu said on Thursday that Turkey expects the planes to arrive in 2020. As for Pastor Brunson, Turkish Prime Minister Recep Tayyip Erdogan has said he will only be released if the United States agrees to “trade pastor for pastor,” by which he means handing over exiled imam Fethullah Gulen, a resident of Pennsylvania. Erdogan accuses Gulen of masterminding the failed July 2016 coup against him. Senator Thom Tillis (R-NC), Brunson’s home state senator, described him as a “political hostage” in a floor speech last week. Brunson is due for another court hearing in Turkey in July. No doubt every high-ranking official who decided not to attend the ceremony is currently eating their hearts out.